This Apple and Ginger Flavoured Rum is prepared with fresh fruit, Bourbon vanilla from Madagascar and cane juice rum from Martinique. It makes a great pre-dinner drink as well as a liqueur, and may be served either chilled or at room temperature. Cane juice rum from Martinique, apple, ginger, sugarcane syrup, Bourbon vanilla. 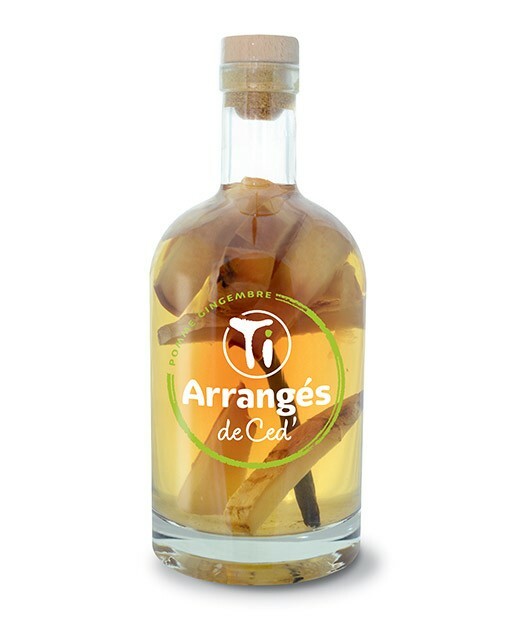 Les Rhums de Ced’ are home-made and produced with respect for the quality of the raw ingredients used. The blends of fresh fruit, picked at a specific degree of maturity, of Bourbon vanilla from Madagascar and of cane juice rum from Martinique, create a first choice, well-balanced, variety of flavoured rums in which each ingredient brings its burst of taste, and differs according to the maceration. Before savouring, shake the bottle to obtain a consistent blend and make the most of the flavours. 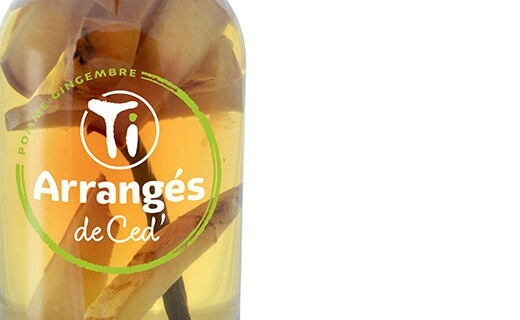 If you like your flavoured rum neat, add some cane juice rum to your drink. For a pre-dinner drink, pour one measure of flavoured rum and 3 measures of champagne, sparkling or white wine.